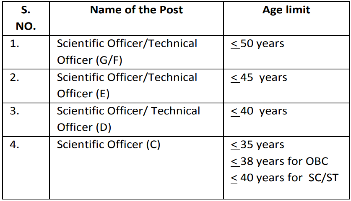 Atomic Energy Regulatory Board (AERB) Issued a Advertisement For Recruiting 20 Scientific Officer/ Technical Officer.All Eligible and Willing candidates Can Check Detailed Advertisement From Their Official Website And Apply Online On Or Before 31st October 2018.Eligible and Interested Candidates Can Check Detailed Information For Each Postion Such As - Eligibility Criteria, Qualifications, Age Limit, Selection Procedure Before Applying. How To Apply - All Eligible candidates may fill the online application through official website http://www.aerb.gov.in. before or on 31-10-2018. Important Dates -Last Date for Registration of Online Application Form Is: 31-10-2018 . Click Here For AERB Recruitment 2018 Detailed Advertisement.